Home » Financial Sector » Banks » How Can Development Partners Support the Financial Sector in Africa? Although Africa’s financial sector was not severely affected by the 2008 crisis, the latter did however reveal its structural weaknesses – including the narrowness of markets and the low level of credit allocated to the private sector. It would consequently appear to be particularly difficult to develop capital markets. It is not impossible: international organizations, by working closely with local authorities, can support this development by providing their advice and expertise. Africa can be pleased that its financial sectors were not significantly affected by the first-round impacts of the financial crisis in 2008, and this despite a high degree of foreign ownership in the banking system in general. While this is a plus for stability, escaping the contagion of the sub-prime lending crisis that originated in the US also highlights several weaknesses within the African financial sector, as well as low levels of integration and development within the global financial system. Most African countries’ financial sectors consist mainly of banking sectors; only in the more advanced countries is there significant development of corporate bond and equity markets, insurance, etc. The main exception is South Africa with its highly developed financial markets, which will be excluded from this discussion. The first point to note is that the size of African financial sectors is small, even when looked at in relation to GDP. When it comes to deposit mobilisation and provision of credit to the private sector, Africa lags significantly behind the low-income country average. Of particular concern is the low rate of credit extended to the private sector (below 20% of GDP). Instead, most banks lend to governments through the purchase of treasury bills and other instruments. 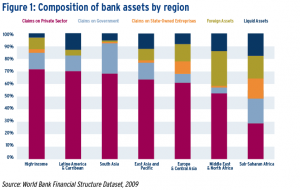 Figure 1 shows the composition of bank assets in Africa compared to other regions. It shows the much higher amount in direct government obligations and loans to state-owned enterprises than in any other region. In terms of access to finance, fewer than 20% of Africans have bank accounts, including at registered microfinance institutions. Banking in Africa, however limited, is nevertheless a profitable business. Banks in Africa tend also to be highly liquid, meaning they have plenty of deposits, typically held as reserves or in short-term money market (often government) instruments. So it may appear that African bankers have little incentive to expand their lending to businesses, especially small businesses, or make efforts to have bank accounts more accessible to the population. These figures show how complicated it can be to build a sound capital market infrastructure on such a weak financial market base. On the other hand, it also shows that capital markets are needed in order to provide adequate financing to the private sector, new savings products for the population and uses for the high liquidity in banks. Development partners can provide a range of assistance to help African governments, financial institutions and markets overcome these barriers and expand financial services in a productive fashion. Support from development partners can take various forms, including, but not limited to, assisting governments to amend outdated or ineffective policies and regulations, providing capacity building to regulatory institutions to implement those changes and to oversee financial institutions, and directly assisting private institutions to improve their practice. The World Bank and IMF, along with some bilateral donor agencies, are active in providing support to financial authorities to improve overall regulation and supervision of financial institutions and markets. The importance of a strong regulatory environment, backed by effective supervision, has been highlighted in the recent financial crisis, which exposed many weaknesses in the supervision of financial institutions in developed countries. The need for regulation is particularly important for capital markets. The specialist nature of equity, bond and other capital markets requires sophisticated regulation and oversight to ensure its development. Partner institutions are well placed to provide technical assistance, which must often come from outside Africa, to regulatory bodies. In particular, there is a need to improve efficiency and lower costs to make markets more attractive to firms for new issues. There is also a need for effective regulation of securities markets and application of appropriate standards to securities issued. African market regulators will require ongoing assistance as they develop and become more sophisticated. In the African context, there is also potential to integrate financial markets further in order to address some of the issues related to both the size of the markets and the quality of regulation. For example, this has been done effectively in the CFA1 zone through initiatives to establish regional securities markets, and should be promoted further. Partners can assist by bringing their experience from other regions to help address regional policy and institutional issues. Apart from regulation and supervision of the financial sector, other measures can be supported by multilateral and bilateral agencies. For instance, following the financial crisis, risk management and corporate governance have become even more important in assuring sound management of financial institutions. Partners can provide advisory assistance to help banks establish stronger risk-management systems and improve their corporate governance to ensure that the interests of all stakeholders are being served. In capital markets, new institutions or functions are also often required for the development of markets. External partners can help address the risks of greenfield institution start-ups by participating as shareholders and providing advisory assistance during the start-up phase. The IFC has invested directly in several market-making financial institutions, such as investment banks and discount houses. The IFC, the private investment arm of the World Bank Group, has been actively involved in supporting the development of African financial institutions and markets for several decades. Recently, IFC interventions have been specifically focused on direct assistance to bond and equity markets. As part of these initiatives, the IFC launched the Efficient Securities Market Institutional Development (ESMID) advisory programme in 2006, designed to work with leading national and regional bond markets to improve their attractiveness to issuers. The objective was to increase transparency and disclosure in bond-market offerings, decrease time requirements and lower costs to promote increased issues. The programme focused on Nigerian and East African bond markets, working with regulatory authorities to improve processes for bond issuance. The first phase of identifying and designing the needed reforms was completed and advisory assistance to regulatory authorities on designing these reforms was provided. In Kenya, for instance, the Capital Markets Authority (CMA) recently unveiled draft laws and regulations that will overhaul the securities industry. rkets and should help attract further issues. The IFC’s investment can also help pave the way for an Initial Public Offering (IPO) on local equity markets. This may take the form of an IFC investment at the time of the IPO, where the IFC’s involvement helps reassure other institutional and retail investors of the quality of the issue. For example, the IFC invested alongside the IPO for ONATEL2, the national telecommunications operator in Burkina Faso, and the first Burkina-based IPO on the regional Bourse. The IFC may also invest equity in major companies, with the intent of supporting a broad-based IPO at a later date, in which the IFC may then also participate by selling some of its shareholding. In general, the IFC seeks to exit via options such as public listings on local securities markets to help expand the depth and liquidity in those markets. IFC investment in a company can also help serve as a ‘stamp of approval’ to help pave the way for a subsequent public offering. Given their significant growth in recent years, stock and debt markets appear to be increasingly relevant tools for firms willing to finance their development. Despite recent growing efforts made by the IFC in these markets, much action is still needed to equip Africa with efficient financial markets. From this perspective, pursuing close financial and technical cooperation between bilateral and multilateral partners, as well as local authorities, seems relevant. ¹ CFA refers to Communauté financière africaine (African financial community in English). ² See in this issue Laurent Demey’s article on the political reasons for the IPO of ONATEL as a public company. What Are the Determinants of Financial Market Development in Sub-Saharan Africa?